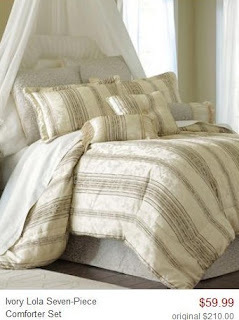 7pc Comforter Sets from $59.99 + 70% off Pillows & Sheets + 10% off Code! Ma Maison is featured on Zulily today selling a nice selection of comforter sets, pillows and sheets with prices up to 70% off! 7pc sets start at just $59.99, with sets up to 20pcs! There's lots of different styles and designs to choose from.